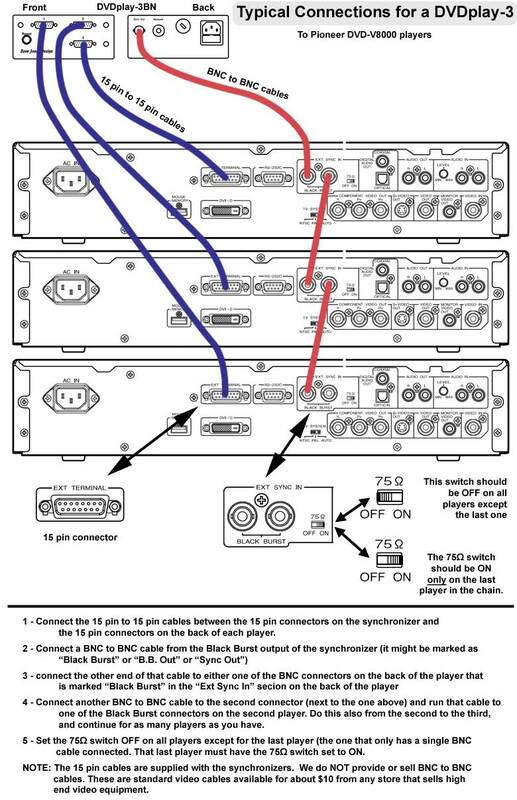 This is a diagram of the typical connections between a DVDplay-3BN synchronizer and 3 Pioneer DVD-V8000 players. For versions that do not have the Black Burst option (such as the DVDplay-3N), or when accuracy is not as important, you can skip the part with the Black Burst connections and only need the control cables. For the DVD-V5000 players just connect the 15 pin cables. The BNC cables are not used.